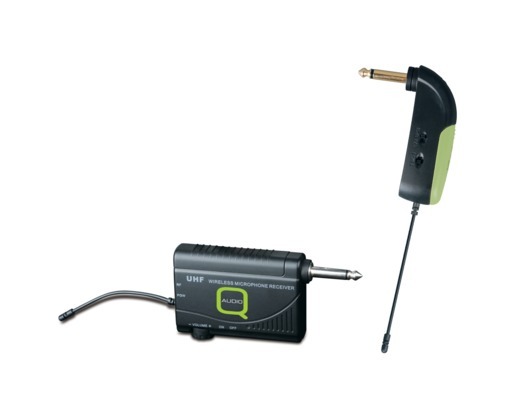 Representing outstanding value, this Q-Audio QWM-1900 GB is a UHF (Ultra High Frequency) Wireless Guitar Bug microphone System, with a Phase Locked Loop System with Multi Channel Receiver and built in ACT System. Designed for Musicians, Guitarists, Bassists and instruments with an electronic pick up in general. 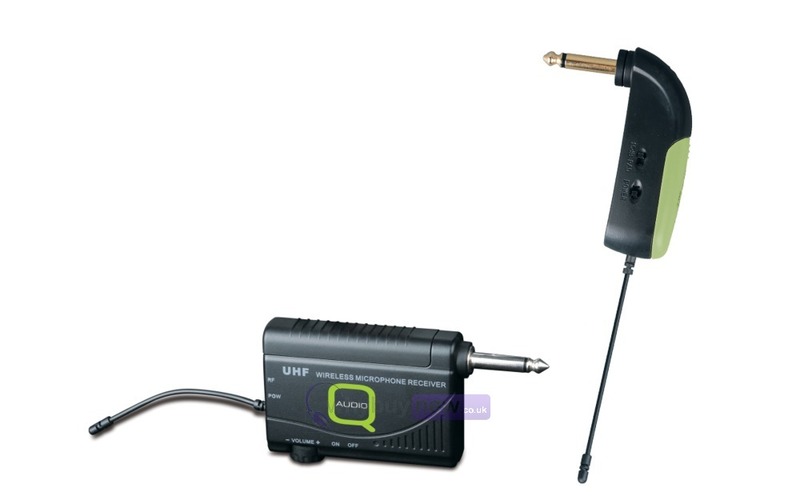 Simply plug the transmitter into the jack output of your instrument then plug the receiver into an amp or mixer channel and you're ready to go! Great value and sounds good too!